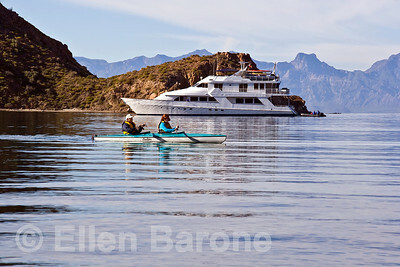 American Safari Cruises' luxury yacht, Safari Quest, at anchor while passengers enjoy a morning kayak in Balandra Bay off Isla del Carmen, Sea of Cortez, Baja California Sur, Mexico. 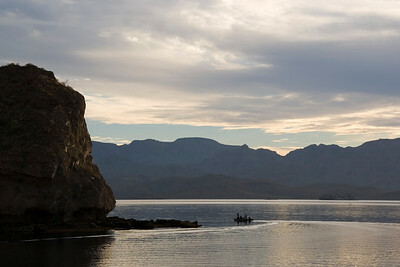 Sea kayaking in Balandra Bay off Isla del Carmen, Sea of Cortez, Baja California Sur, Mexico. 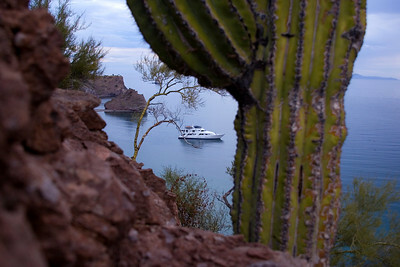 American Safari Cruises' luxury yacht, Safari Quest, at anchor in Balandra Bay off Isla del Carmen, Sea of Cortez, Baja California Sur, Mexico. 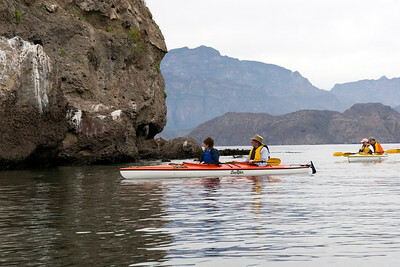 Sea kayaking along the shoreline of Isla del Carmen, Sea of Cortez, Baja California Sur, Mexico. 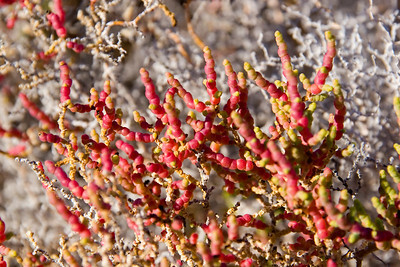 Colorful desert plant, isla del Carmen, Sea of Cortez, Baja California Sur, Mexico. 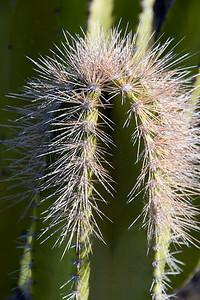 'Old Man' cactus on Isla del Carmen, Sea of Cortez, Baja California Sur, Mexico. 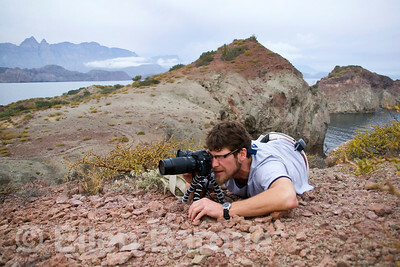 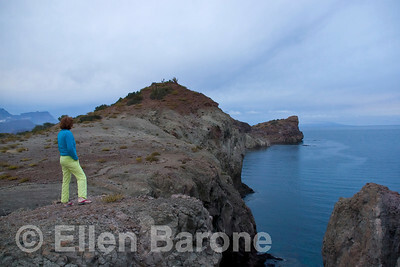 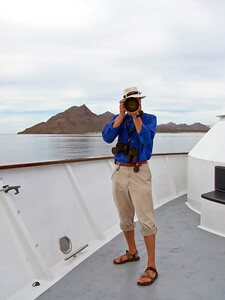 Safari Quest photo cruise passenger, Mike Derzon, Sea of Cortez, Baja California Sur, Mexico. 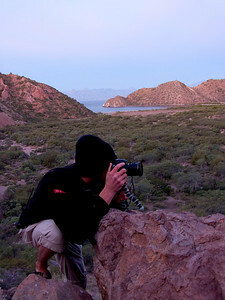 Expedition leader and ship's photographer, Kevin Martin, Safari Quest, Sea of Cortez, Baja California Sur, Mexico. 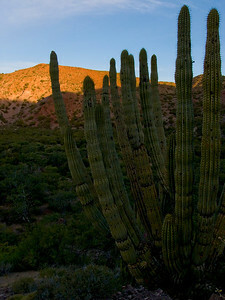 Cordon cactus, sunrise on Isla del Carmen, Sea of Cortez, Baja California Sur, Mexico. 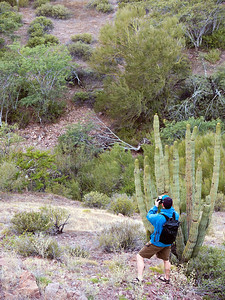 Hiking Isla del Carmen, Sea of Cortez, Baja California Sur, Mexico. 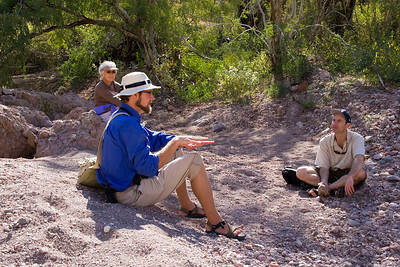 American Safari Cruises' expedition leader, Kevin Martin, relaxes with yacht passengers Mike Derzon and Irene Wicklund on Isla del Carmen, Sea of Cortez, Baja California Sur, Mexico. 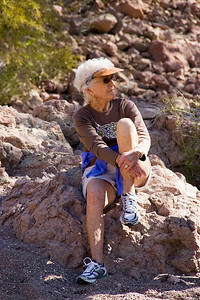 American Safari Cruises passenger Irene Wicklun takes time out from a morning hike on Isla del Carmen, Sea of Cortez, Baja California Sur, Mexico. 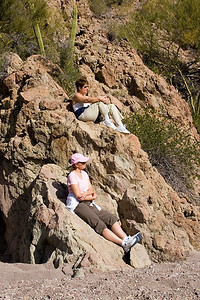 Safari Quest passengers Kathleen Aller and Kay Dummermuth take time out from a hike on Isla del Carmen, Sea of Cortez, Baja California Sur, Mexico. 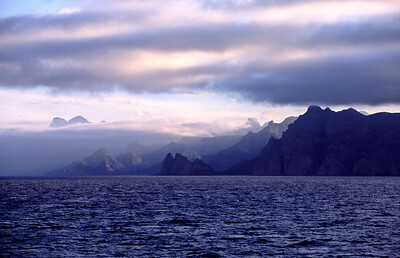 Jagged layers of rugged mountains rush right to the water's edge in Mexico's dramatic and beautiful Sea of Cortez, Baja California Sur. 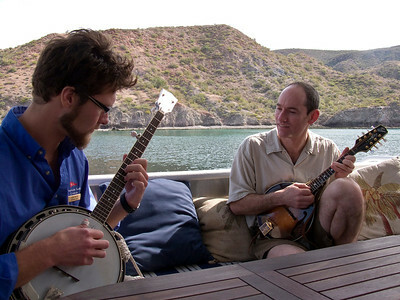 Expedition leader, Kevin Martin, and passenger, Mike Derson, strumming aboard Safari Quest, Sea of Cortez, Baja California Sur, Mexico. 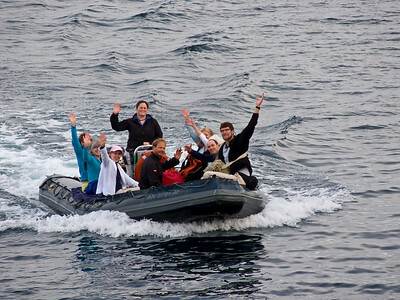 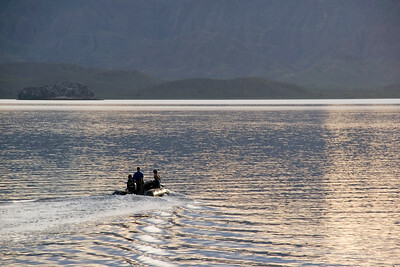 Safari Quest passengers enjoy an early morning skiff ride off the coast of Isla Danzante, Sea of Cortez, Baja California Sur, Mexico. 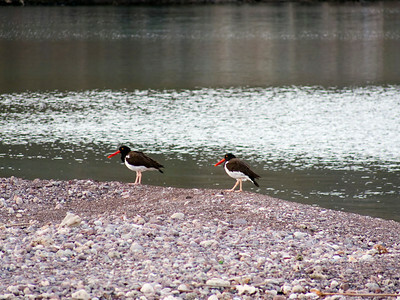 Oyster catchers on the beach of Balandra Bay off Isla del Carment, Sea of Cortez, Baja California Sur, Mexico. 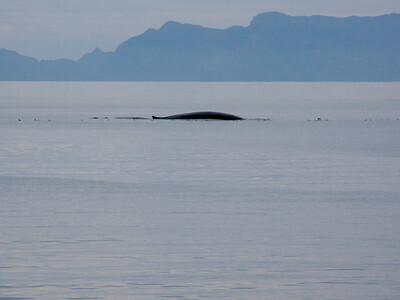 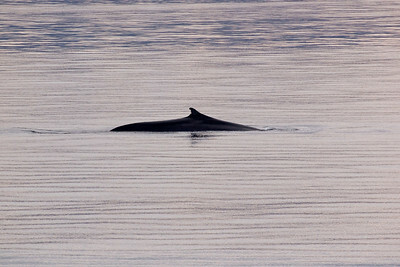 Blue whale, the world's largest, Sea of Cortez, Baja California Sur, Mexico. 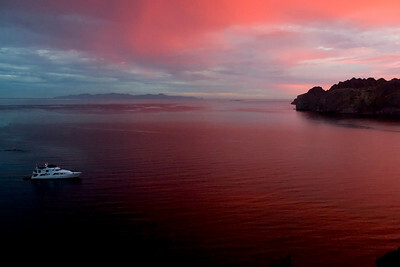 American Safari Cruises' luxury yacht, Safari Quest, at anchor in Honeymoon Cove off Isla Danzante under a umbrella of cloudy skies at sunrise, Sea of Cortez, Baja California Sur, Mexico. 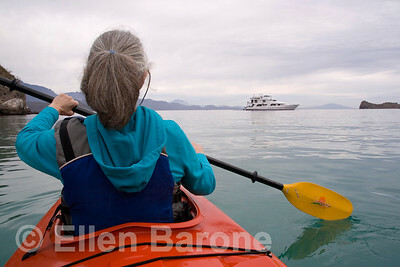 Safari Quest passenger Denise Maisonpierre, on Isla Danzante, Sea of Cortez, Baja California Sur, Mexico. 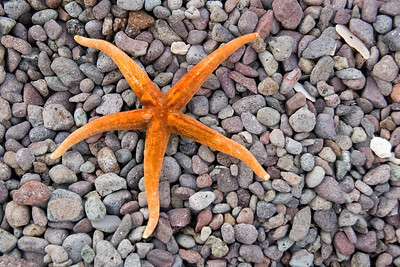 Star fish on rocky beach, Honeymoon Cove, Isla Danzante, Sea of Cortez, Baja California Sur, Mexico. 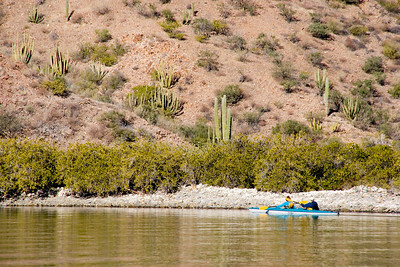 Sea kayaking in Honeymoon Cove off Isla Danzante with Safari Quest in the distance, Sea of Cortez, Baja California Sur, Mexico. 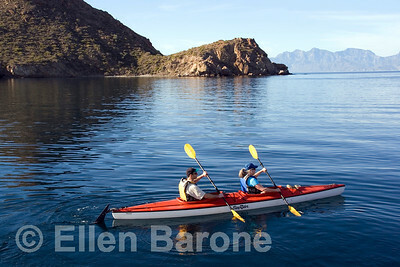 Sea kayaking in Honeymoon Cove off Isla Danzante, Sea of Cortez, Baja California Sur, Mexico. 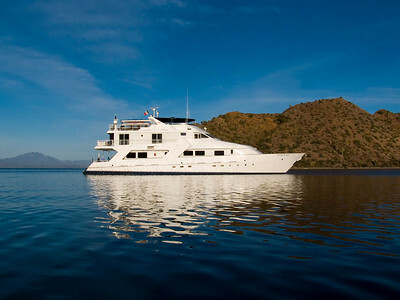 Safari Quest at anchor in Puerto Agua Verde, Sea of Cortez, Baja California Sur, Mexico. 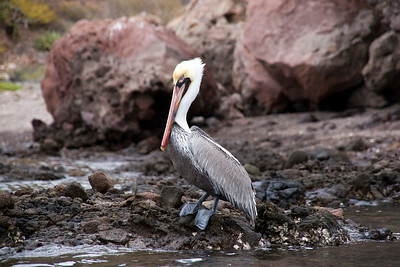 Grey pelican in breeding plumage, Isla Danzante, Sea of Cortez, Baja California Sur, Mexico. 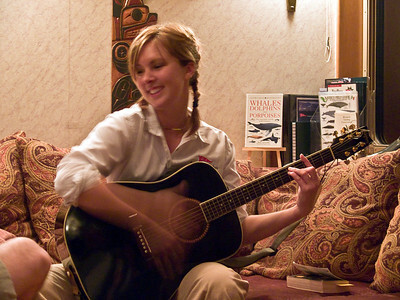 Safari Quest crew member Sarah Buck shares her musical talents, Sea of Cortez, Baja California Sur, Mexico. 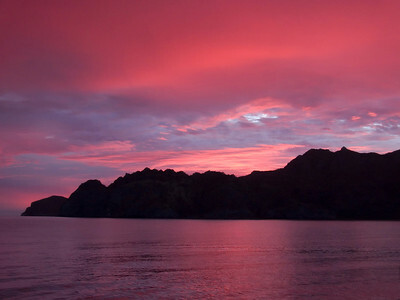 Sunrise paints the bay with dramatic color, Puerto Agua Verde, Sea of Cortez, Baja California Sur, Mexico. 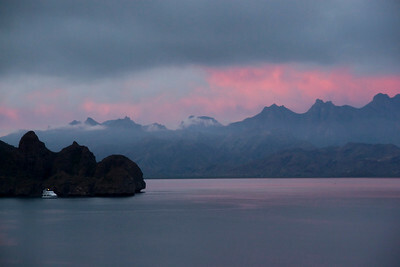 Sunrise paints the bay with dramatic color, Safari Quest at anchor in Puerto Agua Verde, Sea of Cortez, Baja California Sur, Mexico. 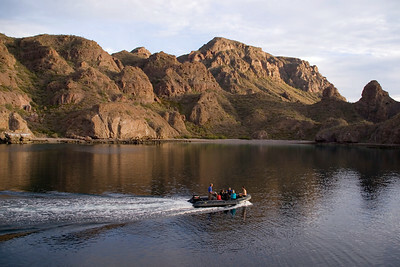 Safari Quest passengers return to the yacht from an early morning hike on Isla Danzante, Sea of Cortez, Baja California Sur, Mexico. 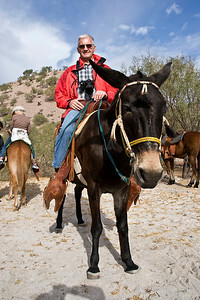 Safari Quest passenger, Hank Barone, ready to embark on a burro ride in Puerto Agua Verde, Sea of Cortez, Baja California Sur, Mexico. 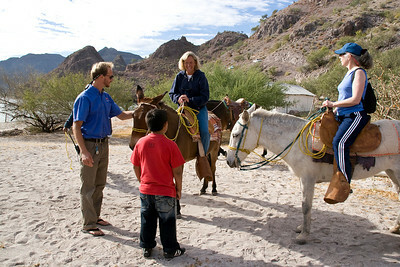 Safari Quest first mate, Dirk Boshckek, and a local youngster help passengers Jane DuFour and Paula Schrader prepare for a burro ride in Puerto Agua Verde, Sea of Cortez, Baja California Sur, Mexico. 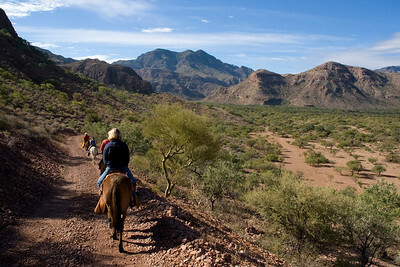 Safari Quest passengers enjoy a morning burro ride through the mountainous countryside of Puerto Agua Verde, Sea of Cortez, Baja California Sur, Mexico. 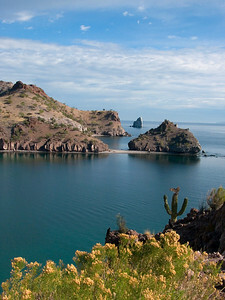 A blast of sunshine on an otherwise cloudy day renders Puerto Agua Verde one of the loveliest scenes imaginable, Sea of Cortez, Baja California Sur, Mexico. 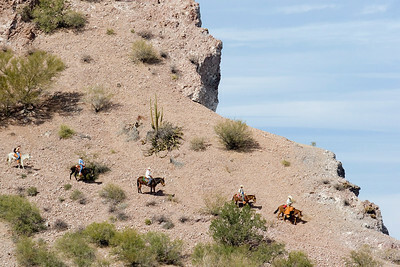 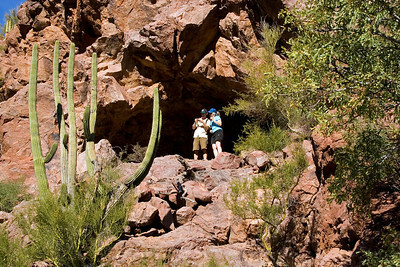 Safari Quest passengers descend the final steep slope of a 18-km burro ride through the mountainous countryside of Puerto Agua Verde, Sea of Cortez, Baja California Sur, Mexico. 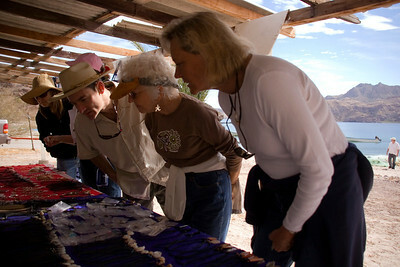 Safari Quest passengers shop for locally made jewelry and handicrafts at Puerto Agua Verde, Sea of Cortez, Baja California Sur, Mexico. 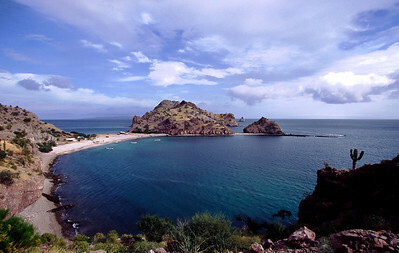 A lovely cove in Puerto Agua Verde, Sea of Cortez, Baja California Sur, Mexico. 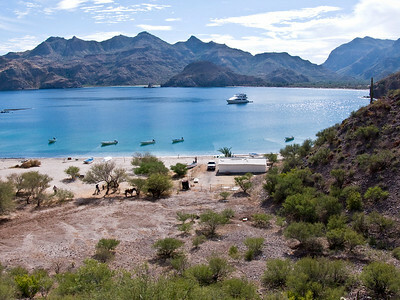 Safari Quest passengers enjoy a languid day at the beach off Puerto Agua Verde, Sea of Cortez, Baja California Sur, Mexico. 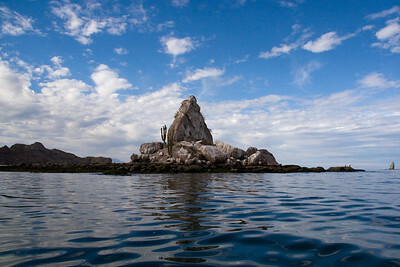 A rocky isleta off Puerto Agua Verde, Sea of Cortez, Baja California Sur, Mexico. 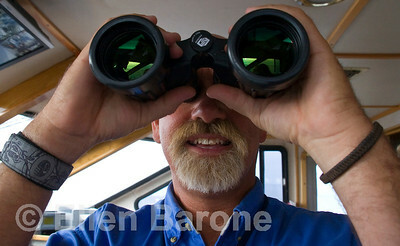 Captain Rod DuFour searches for marine life from Safari Quests' wheelhouse, Sea of Cortez, Baja California Sur, Mexico.